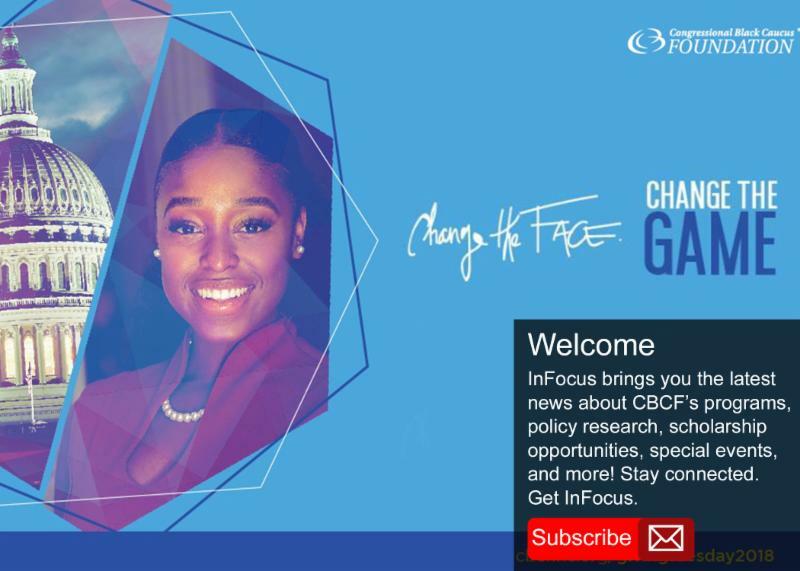 InFocus Newsletter: 2018 Giving Tuesday, Intern Closing Ceremony, and more! 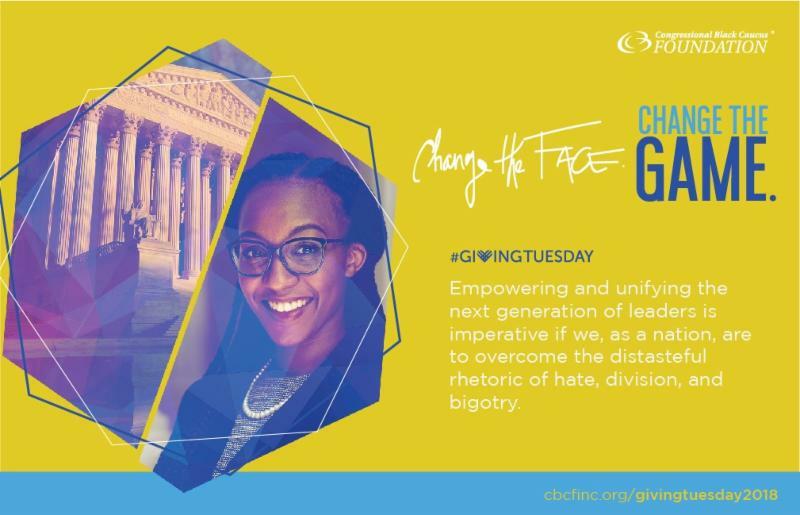 #GivingTuesday: Change the Face. Change the Game. #GivingTuesday is a global day dedicated to giving back that kicks off the charitable season by celebrating the true spirit of philanthropy. This year, the CBCF will join the #GivingTuesday movement with their 2018 campaign, "# ChangeTheFace # ChangeTheGame ." 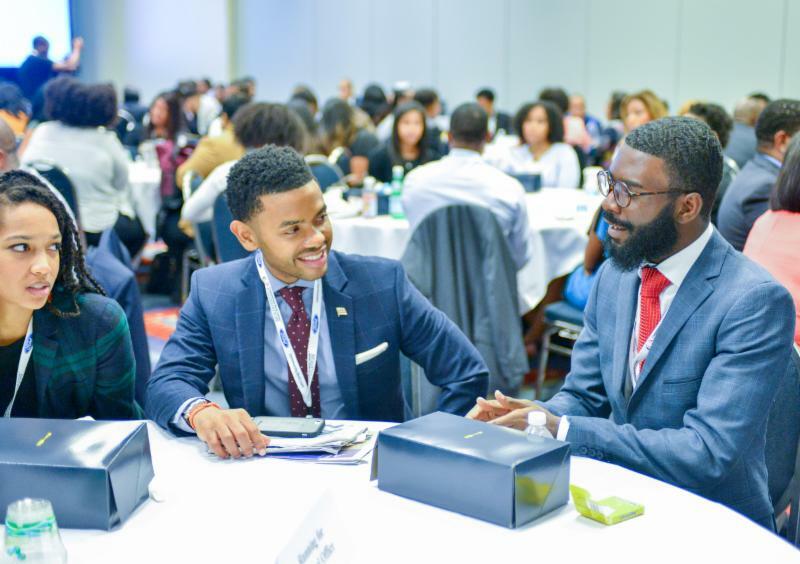 The campaign highlights the CBCF's legacy of creating opportunities for Black and Brown Americans to make an impact on the future of this world. You can make all the difference by donating to the CBCF's Giving Tuesday campaign today! 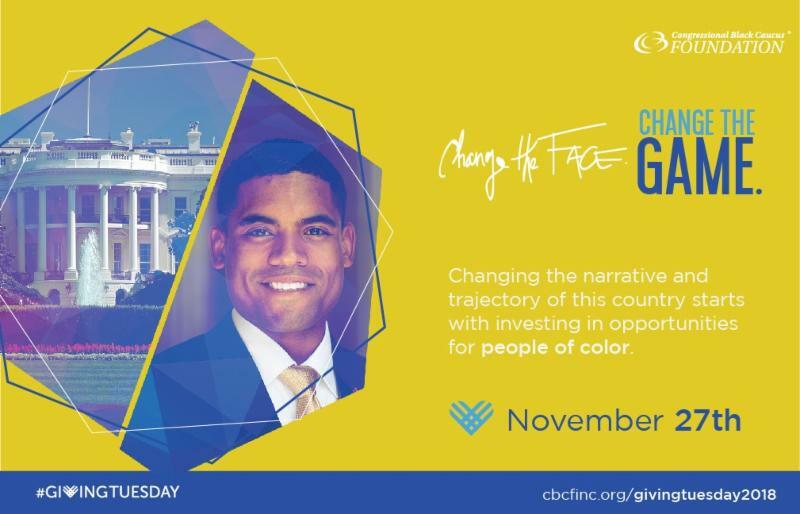 Visit, cbcfinc.org/givingtuesday2018 to give today! 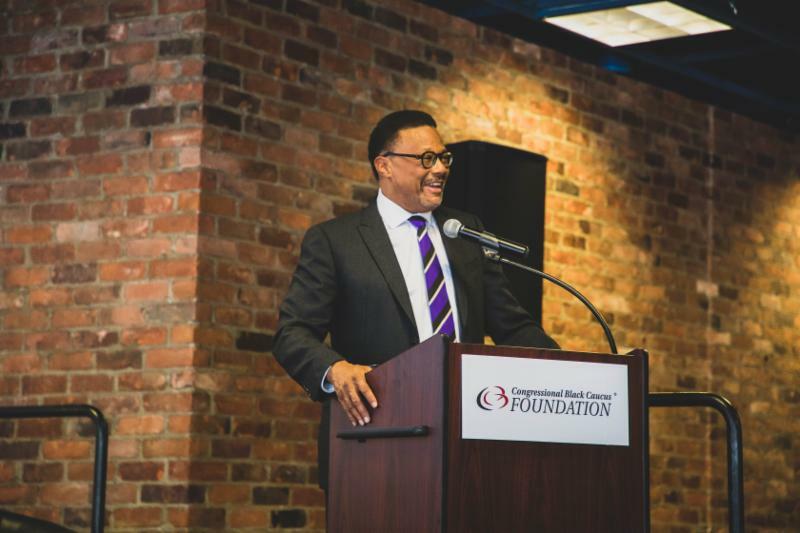 The CBCF is excited to announce that another cohort of interns is graduating from our Leadership Institute! 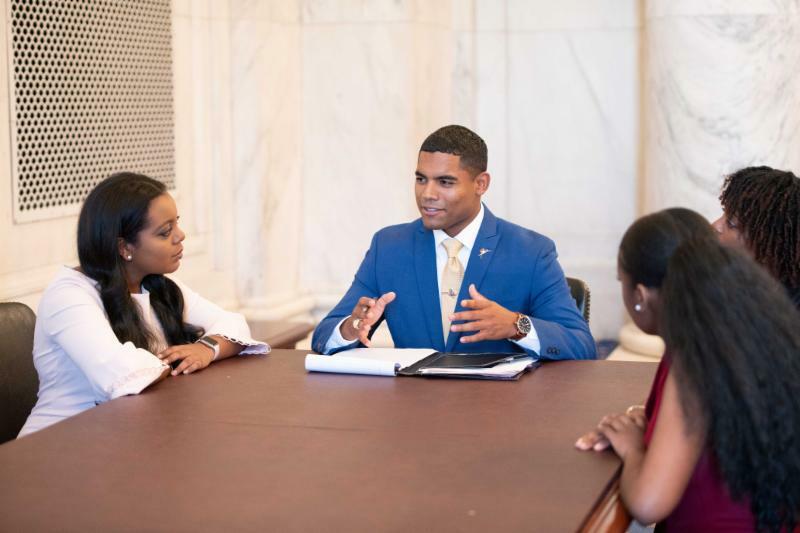 Each intern spent several months in a Congressional office on Capitol Hill learning from and working alongside seasoned professionals. 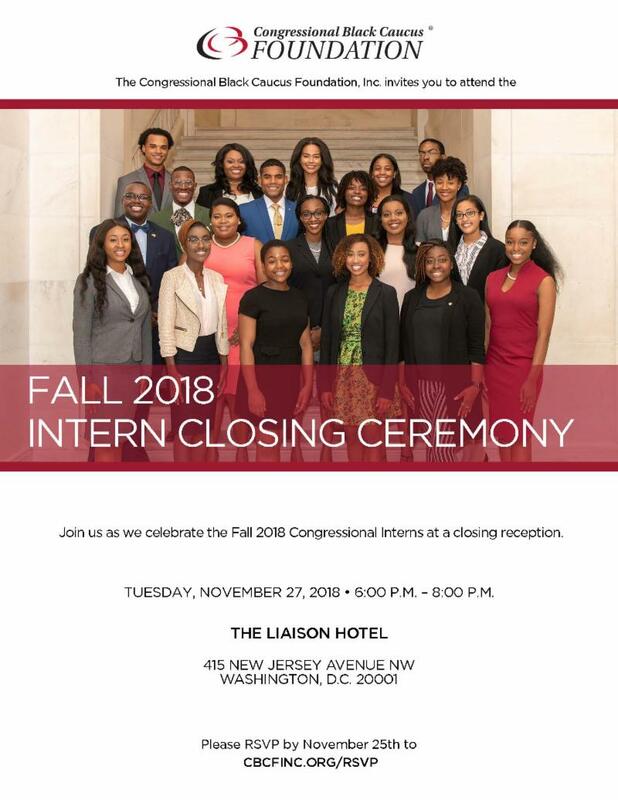 Join us as we commemorate their time on the Hill at the Liaison Hotel, November 27, 2018, at 6:00 p.m. - 8:00 p.m. Space is limited, RSVP at cbcfinc.org/RSVP. 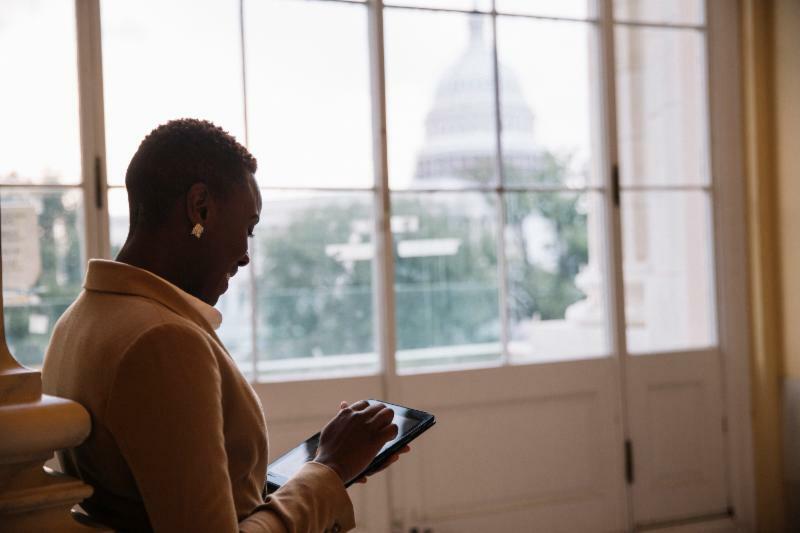 ICYM I: The CBCF recently released the inaugural issue of the Journal of the Center for Policy Analysis and Research (JCPAR)! 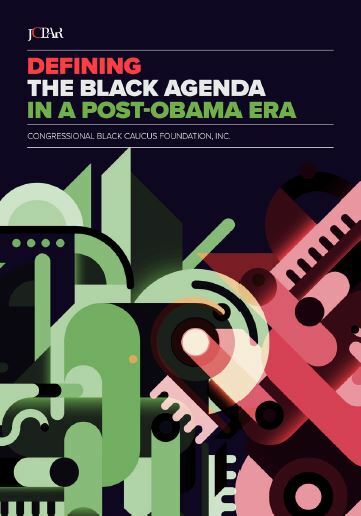 The inaugural issue is devoted to research and reflections of this particular political moment after eight years of the first black president, Barack Obama. 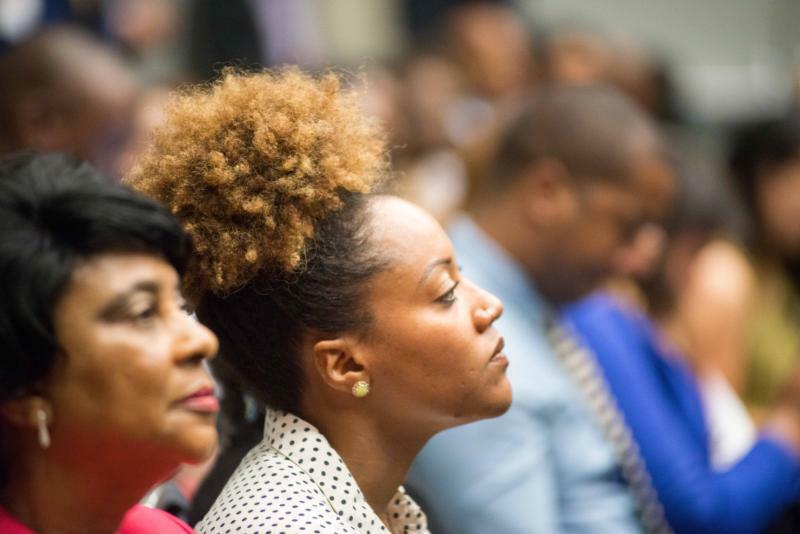 A special section is dedicated to the legacy of Dr. Ron Walters, a preeminent scholar of black political studies, noted civil rights activist, and one of the founding architects of the Congressional Black Caucus (CBC).